No-one can ignore the rise of eSports with events like the League of Legends world finals drawing in millions of live viewers from around the world. With digital sports showing that they are a force to be taken seriously it should come as no surprise that the traditional physical sports are looking for new ways to expand into the digital medium. 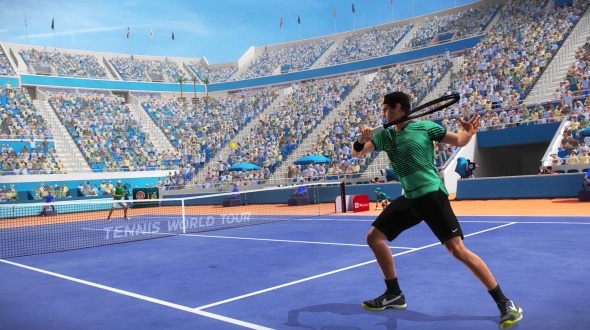 In that vein, the organisers of the French Open have revealed that they will be hosting an eSports tournament featuring World Tour Tennis a game this is set to be released in 2018. This, coupled with the prize pool seeing a 3 million Euro increase, is sure to draw a lot of positive press. The announcement of the eSports tournament and the increased prize pool came with a renewed deal that will see the French Tennis Federation extending its partnership with BNP Paribas for a further 5 years. BNP Paribas announced that they would be continuing to support the French open through a variety of digital projects that will take place internationally. The eSports tennis tournament is just the first of these, and it will be held in 8 countries including Belgium, France, Germany, the UK, Italy, China India and Brazil. The winners from each country will come together for the finals which are to be held at Roland Garros on the 25th of May, during the French Open. It is unusual for a tournament of this style to be based on a game that no-one has been able to play, but with such a prize pool on the line, there are no doubts that it will be well attended and that the competition will be fierce.